Gaston and Purcell first met in the late 1970's while working for the same employer. They had talked frequently about making music together but never got the opportunity, except for informal gatherings, until 1992. Mr. Gaston originally began playing his hands in 1967 after being inspired by a childhood friend who also had this unusual ability. After several years of practice, the two would go about the neighborhood playing songs for people. As a result of this, Christmas caroling took on a completely different twist in Allentown, PA. 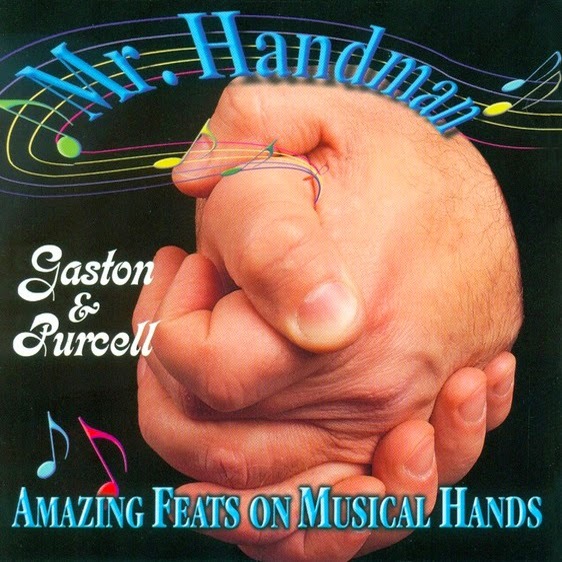 The sounds that Mr. Gaston has been able to achieve from his hands are the culmination of over 30 years of practice. His use of vibrato, pitch accuracy, and ability to sustain notes are hallmarks of his performances. Also known for spontaneous manualist performances, Mr. Gaston has played for such notables as Muhammad Ali, Dave Mason, Nigel Kennedy, and Jim Belushi. Since appearing on CNN in 1996, Mr. Gaston has given performances over the phone to close to 200 radio stations throughout the country. He has also performed in this manner internationally in New Zealand, Australia, Canada, and Guam. In 1995 he received the award "Master of Manual Music" from Action News of Philadelphia's Don Polec. Mr. Purcell, also known as "Mr. Handman's Right Hand Man", has extensive performance experience in 20's, 30's, 40's, and Irish music. 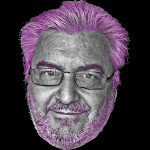 He started his musical studies as a child and lists Leon Redbone as one of his strong influences. He is a frequent performer throughout the Lehigh Valley. 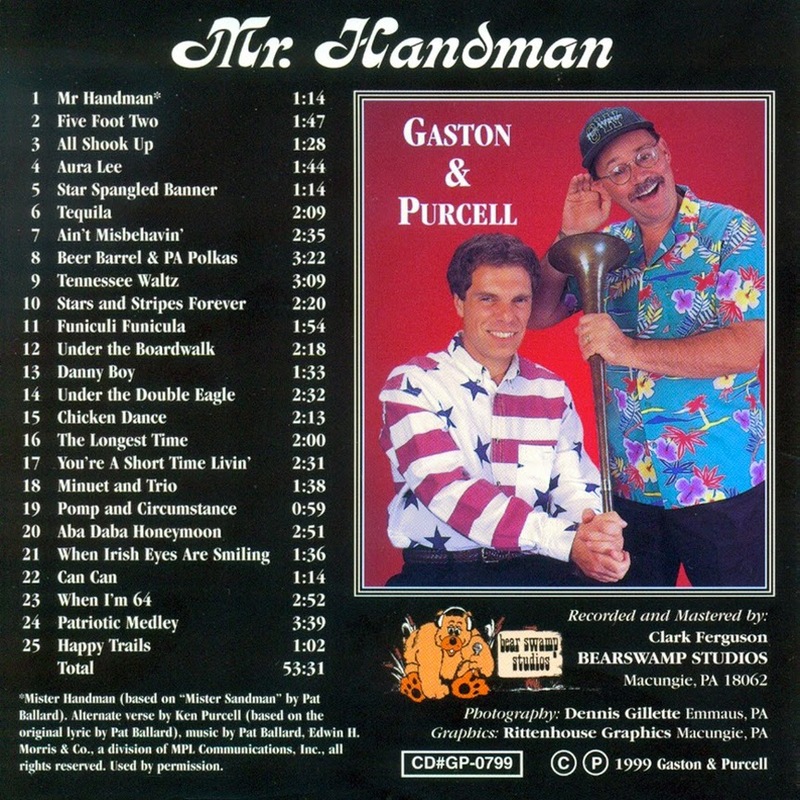 0 comments on "Gaston & Purcell - Mr Handman 1999"